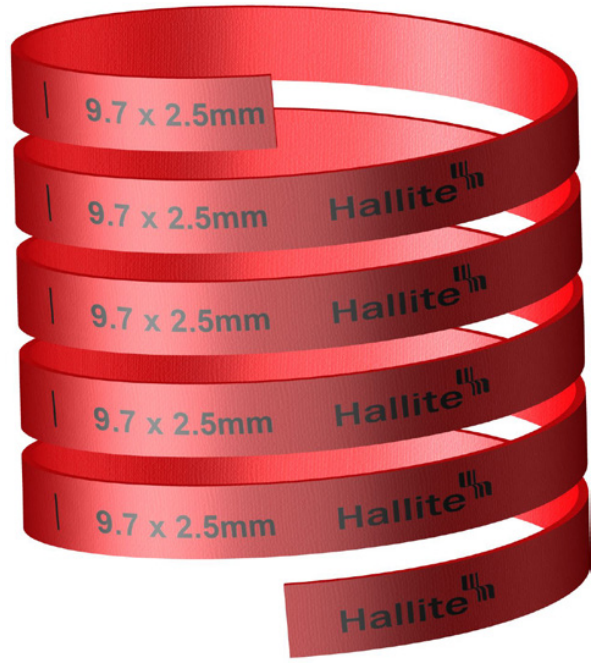 Hallite 506 bearing strip is available in three forms: cut rings, spiral lengths and flat coils. Hallite 506 provides an extremely effective, hard wearing and easy to use bearing material. Manufactured to very tight tolerances and providing bearing solutions for reciprocating, oscillating and slow rotary movement applications, Hallite 506 bearing strip is used in many of today’s most arduous hydraulic applications around the world. Commonly fitted in reciprocating cylinders as rod and piston bearings, Hallite 506 is capable of withstanding extreme side-loads preventing metal to metal contact. The material’s design incorporates micro indentations on the bearing strip’s surface to trap fluid and provide built-in lubrication to the bearing. 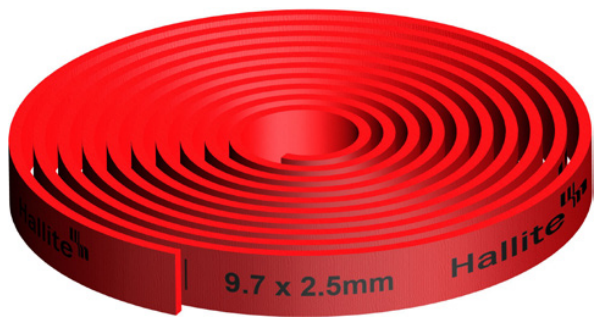 The 506 bearing strip is manufactured by a patented process, using a woven fabric reinforced polyester resin material and is proven to be compatible with a wide range of fluids, including mineral oils, water based fluids and phosphate esters, to produce a rectangular section strip which is available in a wide range of inch and metric sizes including cross sections specified in ISO 10766.